Understanding your rights and the obligations of others in society is vital. With serious cuts in Legal Aid by the government, those on low incomes can be at a serious disadvantage. None the less, help is at hand, if you know where to find it. Use our directory to reach out for the support you need. 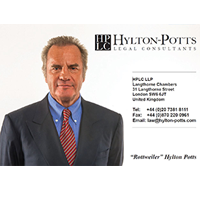 Hylton-Potts Legal Consultants offer a fast and efficient service, and always strive to give good value for money. We have a long and successful track record and are known to be tough, no-nonsense street fighters good to have on your side. Hylton-Potts are experienced Benefit Fraud and Tax Credit Fraud Lawyers. If you’ve received a letter about an Interview, Awkward Documents, Undisclosed / Hidden Savings or Capital, Subletting or Overpayments, call or email us today! We never allow our clients to be interviewed. We are registered with H.M.R.C as tax and tax credit advisors. We do NOT report benefit fraud. Confidential free 24-hour email service, and office hours' helpline, Tel: 0207 381 8111. London based but helping people all over the country. All phone calls, emails, and letters are dealt with the same day. For us there is no such thing a “just another case”. We treat you like a close family member or lifelong friend. Hylton-Potts Legal Consultants provide a better and cheaper legal service than solicitors. Policy in Practice believes the welfare system can work more effectively. It can help people towards greater independence if we make it simple for people and organisations to understand. We simplify the welfare system by showing people how policy affects them. We show local authorities how individual households are affected by all policy changes, now and in the future. We talk to government on a national level to influence policy. Public Concern at Work aims to help make whistleblowing work so that dangers, wrongdoing and serious risks that threaten the public good are deterred or at least detected before serious damage is caused. Maryhill & Possilpark Citizens Advice Bureau is an independent charity founded in 1981. We specialise in providing free, impartial and confidential information and advice services on issues ranging from debt, benefits, and welfare rights to consumer rights, finances and budgeting support. Law on the Web is one of the oldest legal advice sites in the UK, having launched back in 1999. Their mission is to make legal advice and services more accessible to everyone. Legal problems can strike at any time and with legal aid cuts and ongoing austerity, dealing with them is becoming harder and harder. Law on the Web has striven to evolve and provide a better quality of service and to give peace of mind to users, providing access to free online legal information. One day, you may find yourself needing legal advice. You may be experiencing discrimination, have a problem with your landlord or employer, or you need to draw up a legal document such as a will or power of attorney. But it can sometimes be difficult to know where to go and who to ask, and what to expect from the different sorts of legal advice services available. The Gordon Brown LLP are established across the north-east and are providing support and advice to people in need in a very professional but a friendly manner. The staff at Gordon Brown are proven to be best in their chosen field and they will go an extra mile to get the job done for the clients. They are dedicated and committed to giving the customers honest and straightforward advice. The Silk Law Family consists of specialist family law practitioners, who belong to resolution (a national organisation of family lawyers committed to a no-confrontational approach to all family issues) and the Family Law Association. The Lawyers have a broad range of experience and specialisms, enabling them to provide a sensitive and committed approach in all areas of family and matrimonial law. The breadth of the team and the flexible charging structure allows them to meet the needs of all the clients in the most cost effective way.